in December 1941 in Potsdam, a city that became part of communist East Germany. His father, a medical doctor, died near the end of the Second World War when John was only three years old. Due to their extremely limited finances, John’s mother was forced to put young John and his two brothers in an orphanage for a short-time. expanded United Furniture Warehouse to having more than 150 stores and annual sales of more than $200,000,000. “I’ve never been motivated by money,” says John. 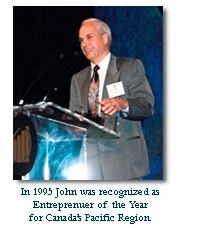 “I just wanted to build something special.” For his accomplishments John received many awards, including being named “Entrepreneur of the Year” for Canada’s Pacific Region. 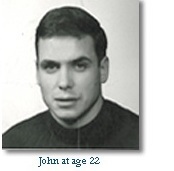 The purpose of the John Volken Foundation is to provide people in need with the opportunity to help themselves become successful, contributing members of society.John’s first step to achieve the Foundation’s purpose was to establish WelcomeHome, a long-term residential drug and alcohol treatment facility that not only helps its members overcome their addictions, but also teaches them many important, necessary, and valuable life-skills, so that they develop mentally, physically, socially, emotionally, and spiritually. Recently, the Foundation’s Board of Director’s, in honor of its founder, changed the name of the treatment facilities to the John Volken Academy. There are currently 3 John Volken Academies, in Vancouver, Phoenix, and Seattle. These facilities not only offer one of the most effective treatment programs, but also one of the most affordable. Other than a relatively small one-time admittance fee, the entire costs of the program, as well as all members’ basic living costs while in the program, are paid for by John’s Foundation.